We are pleased to say that we beat last years target and this year we have raised £1,700 on our Sports Day. Local businesses all came together to help us raise money for this fantastic charity. Russell King Associates is a proud fundraiser for Demelza. We got local businesses together to take part in a Sport's Day that we hosted and successfully raised £1,600 for this fantastic cause and the work that they do. Demelza exist to make life better for babies, children and young people who have life-threatening or life-limiting conditions, and to support their parents, brothers and sisters, and all those who love them. They’ve been providing this care since 1998 and, through the generosity of others, they can continue to be there for families for years to come. 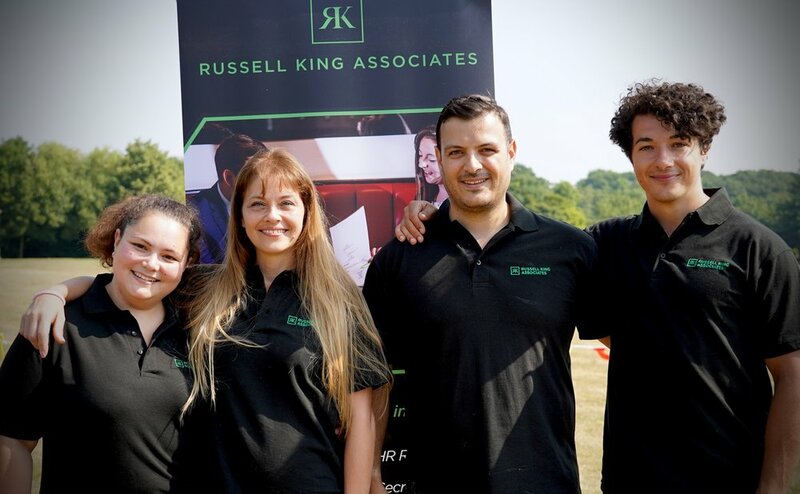 Russell King Associates volunteered for a day in the Demelza Hospice Sensory Garden in Sittingbourne which is due to open in November of this year! So much hard work and dedication from lots of volunteers has gone into creating this fabulous space and we look forward to being able to reveal what it looks like after the official opening! This is us hard at work! Please feel free to check out the excellent work that Demelza do on their website and consider donating to their incredible cause.